WASHINGTON – House leaders this week derailed an attempt by Democrats and moderate Republicans to force a vote on a bipartisan package of immigration reform bills, announcing instead that they will bring two Republican bills to the floor. “The last thing I want to do is bring a bill out of here that I know the president won’t support,” said Ryan, who added that House leaders have been working closely with the White House on a measure that the president can support. Ryan said the bills he will advance include a bill co-sponsored by Rep. Bob Goodlatte, R-Virginia, and Rep. Martha McSally, R-Tucson, along with 97 others, and a “compromise” proposal that has yet to be finalized. But Democrats blasted the Goodlatte-McSally bill, which had been pushed by the conservative Freedom Caucus. That bill would boost border and interior enforcement, target visa overstays and limit family migration – derided by conservative critics as “chain migration” – among other proposals. 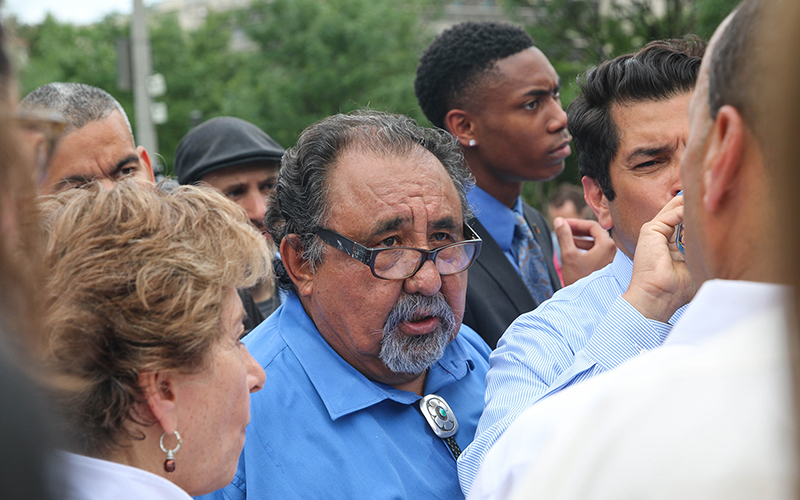 “It’s really, really sad that we have an opportunity on a bill that has already been compromised and negotiated – to drop that and not have a chance to vote on that,” Grijalva said of one of the bills that could have been brought for a vote with the discharge petition. McSally’s office did not respond to a request for comment. Just hours after the Republican caucus Wednesday, angry Democratic lawmakers took to the streets of Washington to protest the Trump administration’s “zero tolerance” policy on border enforcement. Under that policy, immigrant parents and children who try to enter the country illegally can be separated. And Attorney General Jeff Sessions announced Monday that the Justice Department would no longer accept asylum claims based on a “credible fear” that immigrants would fall victim to domestic violence or gang violence if returned to their home countries. The protesters marched from Freedom Plaza on Pennsylvania Avenue to the offices of Customs and Border Protection, where they sat down in front of the entrance and were threatened with arrest. The protest broke up after three hours with no arrests, but lawmakers and advocates declared victory.